It’s not just plentiful and fun, but also at your door. Flanked by Fashion Street in Deák street, Kempinski Corvinus is right where fashion sits, and if your interests take you to high fashion, food halls or arts and crafts markets, you couldn’t be in a better location. There are designer boutiques and their luxury to splash out on, a strong high-street fashion offering in a historical setting, renovated food halls with a premium gastronomic experience, and authentic artisan stalls, as well as internationally selling and below-the-radar Hungarian designers. If you have a passion for creative design and owning it, the Budapest shopping scene offers a diverse range of goodies to take away. Kempinski Corvinus’ backstreet, Deák utca, is known as Fashion Street. It is home to several high-end boutiques gracing this quaint stretch of beautiful historical buildings from the richest era of Budapest. The best in casual premium wear and accessories, Tommy Hilfiger, Furla, Massimo Dutti, Boss and Lacoste, among others, magnetise the avid shopper here, including Hungary’s Nanushka, whose comfy and cool cotton collections sell worldwide, while in December, Fashion Street sets up its own Christmas Market stalls under fittingly glamorous festive lights. Kempinski Corvinus’ ÉS Bisztró opens its summer seasonal ÉS Terrace, serving light bites and cool cocktails in its special outdoor menu. A brief stroll off, find one of the most spectacular H&M locations in Váci utca 1, just off Vörösmarty Square, in the former Stock Exchange building, where some of the original fittings, including the stained-glass ceiling, are meticulously preserved. On top of the same building, sip the best of Hungarian wine in Szt. Andrea Wine & Skybar, and enjoy the Danube’s breeze as you recover from shopping and take in some truly spectacular views. Specifically built as a fancy thoroughfare, this boulevard remains the most glamorous of Budapest shopping locations and is home to the grandees of fashion, such as Louis Vuitton, Gucci and Emporio Armani. This tree-lined mosey satiates the most discerning of tastes. Művész Café remains Andrássy út’s signature traditional Budapest institution for its belle époque charm, cherished by locals as well as visitors. Named after the indigenous shepherd dog, Puli serves traditional Hungarian cuisine. Klassz has recently been taken over by a Michelin-winner team, reinterpreting local classics. The Grand Market Hall is a must-see, and despite its heavy tourist footfall, it is one of the most local markets in Budapest. Fresh produce apart, the national iconic spice, paprika, is widely available here, ground or threaded as a garland. There are stalls selling folksy ware, from napkins to wooden spoons, decorated in traditional floral folklore ornaments. Insider tip: the locals tend to shop on the left-hand side of the market (viewed from the entrance). 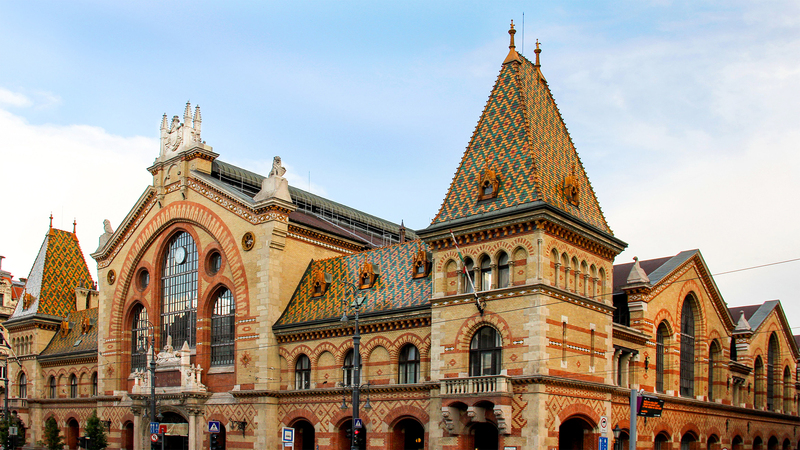 Also known as Hold Utca Market, Belvárosi Piac is the lesser-known but equally fancy, and more gastronomically exciting, market hall in central Budapest. Recently renovated and restored to its former historical glory, it has been a lunchtime magnet for foodies, since the second level is home to a wonderfully diverse range of restaurants. Tamás Széll, Hungary’s first Michelin-starred chef, runs his Stand 25 here alongside iconic Russian resto Arany Kaviár’s Moszkva Tér. You can also try Hungary’s traditional staple “főzelék”, a vegetable dish, or enjoy the largest Wiener Schnitzel in Buja Disznó. Budapest cherishes its arts and crafts talent, and gives them every opportunity to present their artisan goodies at various themed markets and festivals. Setting up traditional market stalls, these artists preserve old techniques in leather, wood, hay and cloth, and create beautiful artefacts to wear, use, gift or just enjoy. Look out for leather belts, key chains and pen holders, sheepskin vests and hats, and natural wooden toys, to name but a few. The most iconic and famed traditional markets are the Budapest Christmas markets, but there is the Festival of Arts and Crafts in the majestic Budavár Castle every August, where everyone who’s anyone in artisan circles will have a stall. For a list of upcoming events and festivals, please consult our Events page. There are several arts and crafts markets alongside foodie festivals, such as the Budapest Wine Festival in Budavár Castle in September, the National Gallop in Heroes’ Square in September, the Pálinka Festival in Budavár Castle in October, the Sausage Festival in the Railway History Park in October, and the Chimney Cake Festival in Gesztenyés-kert in October. The antique trade has, through time immemorial, flourished in Falk Miksa street, a stone’s throw from Parliament. This cosy, tree-lined street, flanked by some of the finest homes in Budapest, has the highest concentration of antique shops in the city, and it’s well worth a mosey in and out of its diverse and tiny warehouse-sized shops. At the other extreme of the antique trade is Ecseri Piac, the oldest such bazaar in Budapest. All avid and discerning antique art and furniture aficionados and collectors frequent this treasure trove – open on Saturdays – and they go early to get the first crack of the whip! Art Market Budapest is held at the sprawling Millenáris Park in October, while the Falk Art Forum is an annual festival organised by and showcasing the vendors in Falk Miksa street. Catch the purveyors of power at Biarritz, a French-Hungarian bistro and an old-time favourite with locals. Budapest Bistro lays an authentic Hungarian table, while Da Mario takes you to Italy. Get your bespoke suit or chic accessories at London-born, Milan-trained and Budapest-resident Simon Skottowe’s cosy but all-the-more well-stocked atelier and shop. 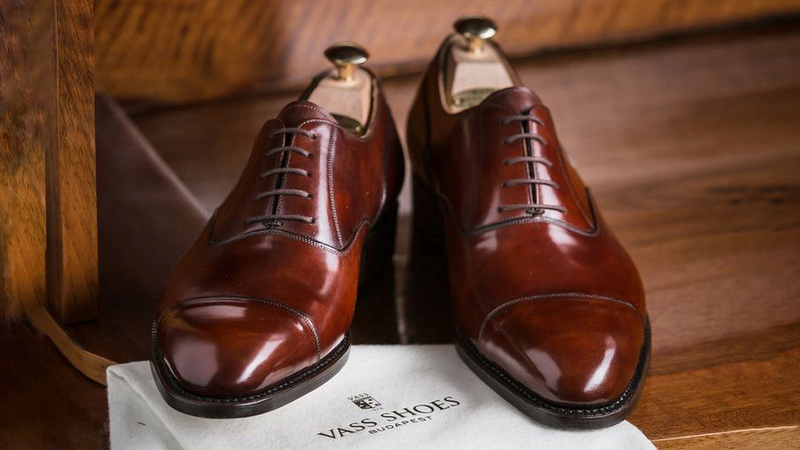 For footwear, Vass Shoes makes bespoke shoes in traditional styles for men and women. WAMP presents the most comprehensive overview of Hungarian designers, budding as well as established, at its monthly fairs showcasing all things beautiful and buyable. There is a strong tradition of haute couture in Budapest, and well-heeled Hungarians love having their wardrobe made for them. For personalised couture-quality design, seek out some of the most noted designers in their shops and ateliers: Emilia Anda for pared-down, smart minimalism; Katti Zoób for a love of femininity; Manier for vivacious extravagance; and Daalarna for gorgeous wedding gowns. The owner of Vass Shoes is Laszlo Vass, a native of Budapest who is well known around the world as the last "Budapester Shoeman". He is the leader of this classic shoe company and truly knows everything about shoe-making. He has received worldwide attention in magazines and on television for his classic yet contemporary hand-made shoes. He has also written a book about his work and traditional shoemaking. The Vass Shoes' store is open Monday to Friday between 10am and 6pm and Saturdays from 10am to 4pm. It's located at Haris köz 6, Budapest 1052 District V., a 6-minute walk from Kempinski Hotel Corvinus Budapest. Pálinka is a traditional type of brandy that is produced mainly in Hungary and Romania. In 2008, the European Union established exclusive trademark rights for the name. "Pálinka" refers to product made in Hungary and four states of Austria. 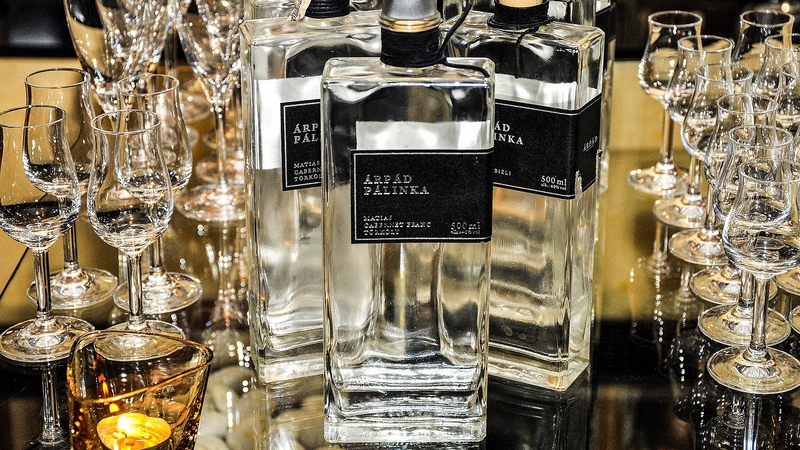 Additionally, a trademark for several specific regional varieties was given to Hungarian brands Almapálinka, Barackpálinka, Szilvapálinka and Törkölypálinka. Address: 1085 Budapest, Rákóczi út 17. Address: 1075 Budapest, Madách tér 2. Browse our Special Offers and book your accommodation at Kempinski Corvinus, to be within easy reach of the best shopping. Use our online booking tool here now or contact our Reservations Department directly on +36 1 429 3375 or at reservations.corvinus@kempinski.com. To find shoppable treasures, do not hesitate to contact our multilingual Clef d’Or Member Concierge Team for assistance with dining reservation, opera and concert tickets, schedules, programmes, transport or any other information you might require during your stay on +36 1 429 3391 or at concierge.corvinus@kempinski.com.